Spread Pick: Malaga with handicap +5.5 at 1.90 Over/Under: Under 158.5 1.90 Bet Now! As well as there being an all Turkish clash in the Euroleague tonight, there is also an all-Spanish clash as Laboral Kutxa Vitoria welcome Unicaja Malaga. This will be the 126th time that Spanish teams have faced each other in European competition. Laboral hold a 7-5 record in home games in Europe against Spanish rivals while Malaga hold a 5-11 record on the road. 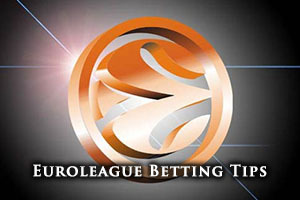 In European fixtures, Laboral are 5-4 against Malaga, so there isn’t a lot between the two teams if you are looking for European insight for your Euroleague basketball betting activities. 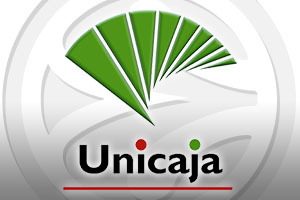 What is likely to be more relevant is the fact that Unicaja has defeated Laboral twice in domestic fixtures this season, and the away team will be arriving full of confidence for this game. Laboral hold a 2-4 record in the Top 16 and after a 5-5 record in the regular season, they hold a 7-9 record in the Euroleague so far. With an average of 81.1 points scored per game so far, they are the higher scorer of the two teams, and they will be keen to take advantage of this in the game. Davis Bertans has grabbed most points for Laboral in the Euroleague so far, offering up an average of 11.3 points per game while Colton Iverson has offered up an average of 5.8 rebounds per game. Laboral are currently in 7th place in their domestic league, with a 10-10 record. Their most recent game was a 109-70 win against Gran Canaria 2014. Malaga grabbed a win in the Top 16 last week, which moved them on to a 1-5 record. The team had been having a torrid time in the Euroleague, their 5-11 record featuring a glut of wins at the start and then a big number of losses. The 4-6 record in the regular season was just enough to see them squeeze through to the Top 16 but Malaga will need to rack up a couple of wins to stay in contention of progressing through the tournament. Malaga have only racked up an average of 74.4 points per game so far in the Euroleague. Mindaugas is the top point scorer for Malaga this Euroleague campaign, grabbing an average of 9.8 assists per game while Fran Vasquez has provided an average of 5.2 rebounds per game. Malaga have also been boosted by the form of Jason Granger who has offered an average of 3.9 assists per game. Malaga are at the top of the Liga Endesa with a 17-3 record, holding off Real Madrid who are one place behind them. The most recent domestic game for Malaga was a 81-77 win against FIATC Joventut. The bookies make the home side the favourite but if Malaga can treat this one like a domestic match, they should sail through. This is why taking them with a +5.5 handicap, at odds of 1.90, is likely to be a very smart investment. For the Over/Under market, go Under 158.5 at odds of 1.90. Both of these odds can be found at Bet365. Bet Now!